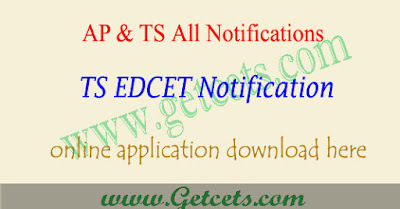 TS Edcet 2020 notification, TS B.Ed application form 2020 : The Osmania University, Hyderabad will release TS EDCET Notification 2020 on it’s official website. Candidates seeking admissions for 2 years B.Ed courses if he/she satisfied eligibility conditions can immediately apply for this Entrance Exam. Interested & Eligible students may download TS Ed.CET Online Application Form 2020 through the online web portal at edcet.tsche.ac.in. 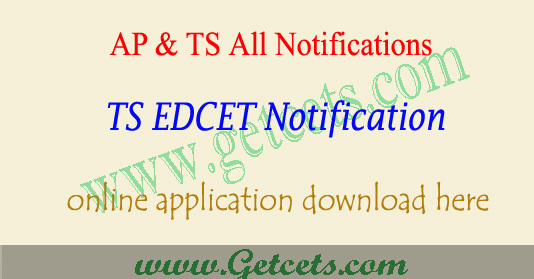 Candidates can check TSEdcet 2020 notification, ts ed.cet application 2020, telangana edcet apply online last date, ts edcet online application 2020, hall ticket download, answer key, results and counselling dates through this article. Telangana State Education Common Entrance Test (TS Ed.CET) for the year 2020 will be conducted by Osmania University, Hyderabad in accordance with G.O. Ms. No. 13 for admission into B.Ed. (Two Years) regular course in the Colleges of Education in Telangana State for the academic year 2020-2021. Eligible Candidates should submit their application forms ONLINE mode only. TS EDCET 2020 will be conducted on — June 2020 from 11:00 AM to 1:00 PM. To apply online aspirants must pay ts edcet application fee of Rs.200/- for SC/ST category and Rs.400 for others. Last date for Submission of online applications up to with out late fee — May 2020 with late fee of Rs 500 up to — May 2020. The detailed information regarding the ts edcet eligibility, syllabus, model paper, related instructions and procedure for edcet online submission of applications are available on the website edcet.tsche.ac.in. So, please use the following link it is given at bottom of para graph and if anyone is not aware of applying follow the procedure carefully. Submit their online applications before May 2020.